Take your crochet on the go! Do your hands itch to crochet while you sit in waiting rooms, on airplanes and at soccer games, but you don't want to carry along lots of yarn and heavy projects? In Go Crochet! 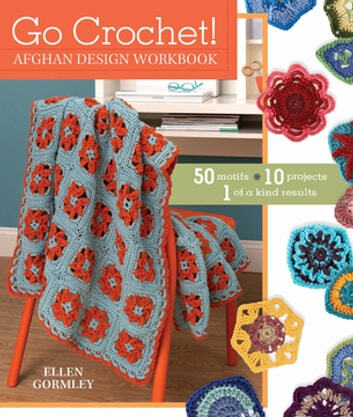 Afghan Design Workbook, you'll find patterns for 50 interchangeable motifs designed for a range of skill levels that can be easily crocheted while on the go! Author Ellen Gormley provides you with great tips for assembling portable projects, creating fantastic color combinations, and arranging your crocheted motifs in unique and exciting ways. So choose your favorite motif, grab your hook and yarn, and go crochet!